There appears not to have been a time before the mobile phone or, if there was, it exists in an alternative reality, one where Biff Tannen did not turn the Hill Valley courthouse into a casino. More seriously, the mobile phone has changed how we live, changed our habits, and changed our infrastructure. Like with the World Wide Web, I will be one of the last, at age thirty-five, to remember a time without them. I had to remind myself of how I used to keep in touch – I actually remember once having to wait until somebody finished using a payphone before I could make my own call, using my pre-paid BT Phonecard. 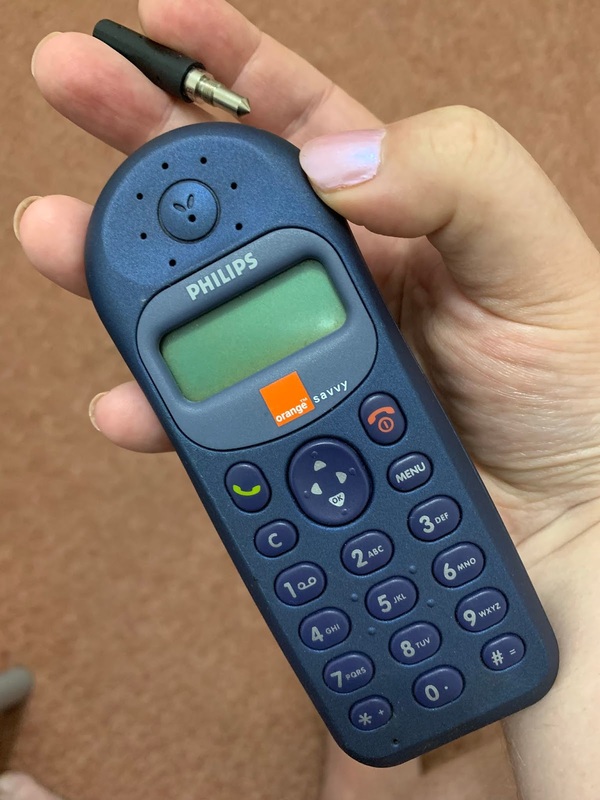 That all changed in 2000 when, ahead of my seventeenth birthday, I bought my first mobile phone, just as they started becoming affordable to everyone. By that year, just over half of UK adults had one. I’m not sure why I bought the phone I did, but I guess I recognised the name “Philips” more than “Nokia,” who made the phones everyone else had at the time. 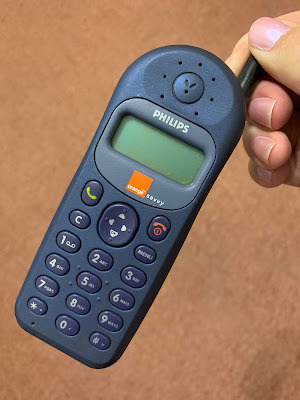 The Philips Savvy was introduced in 1999, and was a chunky black and blue brick of a basic phone. Its big buttons make it clear it has only one use – cameras were not commonplace on phones for another five years. If I wasn’t using it to call or send an SMS message – the manual confirms SMS stands for “Short Message Service” - the other reason I had the Savvy in my hand was to unscrew and screw in its external aerial, as a way of keeping your hands busy. Unlike the black slate smartphones for today, if I broke the aerial, I could just buy a new one, and I could replace the battery with a new one, or one I charged earlier, or one with a bigger capacity, which needed its own bigger back cover. Standby time was measured in days, but you could only do so much with the Savvy. With no information available on internal storage capacity, saving contacts, SMS messages and call history appears to be down to the SIM card only. Details of the last twenty calls you made, and the last ten you received, is the most you can have. No internet service is possible, but you do get a calculator and stopwatch. The LCD screen had space for two lines of text and an icon – the home screen displayed the time using a clock face. There is a primitive pre-emoji list of twenty-five characters you can send with SMS messages, but only an emoticon is sent if the recipient doesn’t have the same phone as you. Short pre-prepared SMS messages are provided, like “please call me back, or “I will be late” – the first such message had only been sent in 1992, over the Vodafone network, and people were not expected to take time writing long messages. The only other “app” was a “biorhythm calendar,” using your birthday and a given date to show your results for Chance, Love, Energy and Success. Amuse your friends, if you can. In the year 2000 alone, payphone use declined by 12% in the UK – BT responded by increasing the minimum call charge for the first time since 1984, from 10p to 20p, and began charging for directory enquiry calls. BT Phonecards were withdrawn in 2002, except within the prison service. From the peak of 92,000 phone boxes in 1992, there are now only 40,000 on UK streets, with BT expecting to halve that total by 2022. For all its limitations, I used my Philips Savvy for four years, longer than any other phone I had since. I finally joined the Nokia brigade in 2004 with a 3510i, an updated version of one of the first phones to have a colour screen, and 2007 established the two-year contract pattern to which practically everyone follows. Today, speaking as the owner of a phone that insists on using glass, it would be nice to use a phone I can drop, or throw, with abandon.